Simply the only Moleskine address book available in colour, the Volant address book presents a welcome addition to the Moleskine range. The address book includes all the usual features you would expect from a Volant, with a softback cover, acid free paper pages and thread-bound spine. These extra light notebooks are available in black, hot pink, sky blue & electric blue colours and their featherweight design ensures they are a carry everywhere item! 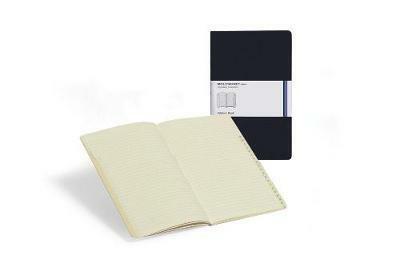 NB: The address book comes only in single pack rather than the typical Volant twin pack.